With Mother's Day just around the corner it makes complete sense to begin thinking about the special day. Mums are the best aren’t they? 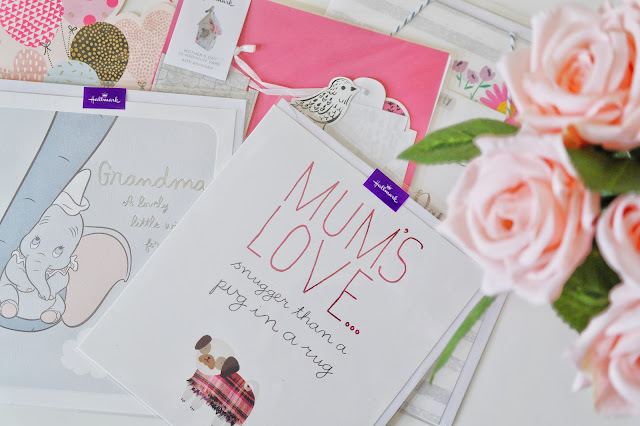 On Mother’s Day, we get to tell our mums, grandmas and any other influential mother figures in our lives, just how much we love and appreciate them by showering them with beautiful cards and gifts. Do you have any plans for Mother's Day? I must admit, since becoming a Mum to my beautiful little lady this is a celebration that I look forward to every year and now she's become quite the artist it's always interesting to see what masterpiece she has created for me. Usually for Mother's day we spend time exploring adventures as a family, with a visit to both our Mum's armed with cards, flowers and gifts. Hallmark are obviously one of the biggest suppliers of greetings cards, and this year they have a stunning range for Mother's Day. I don’t know about you, but Hallmark never lets me down on finding just the right card for every occasion and for every person I want to send a card to, and this year for Mother’s Day they didn’t disappoint me with their selection. 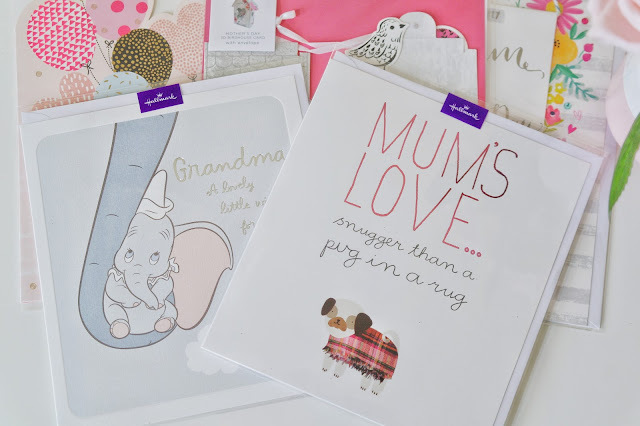 As you can see their Mother's Day range is very varied so I am sure that you'll be able to find something to suit your Mums' personality. 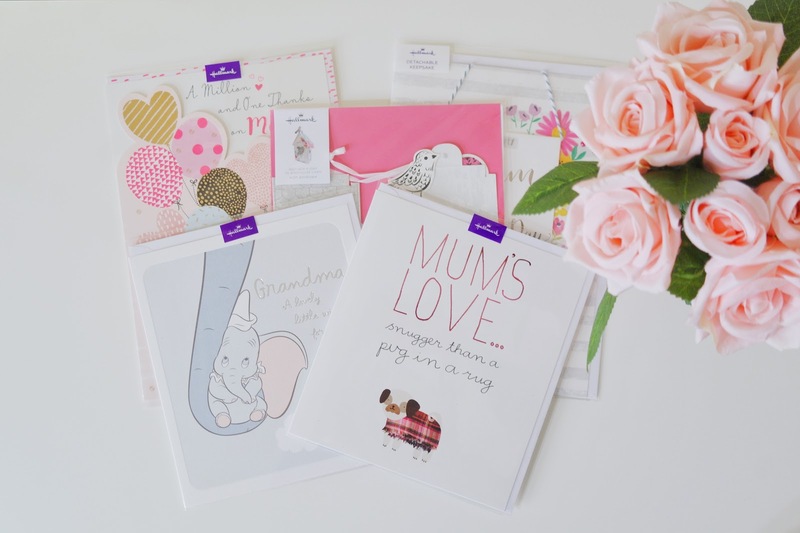 There's a card to help you celebrate all types of mum’s in your life from Mother to Grandma, New Mum to Godmother, you’re sure to find a Mother’s Day card at Hallmark that is just as special and unique as your relationship. 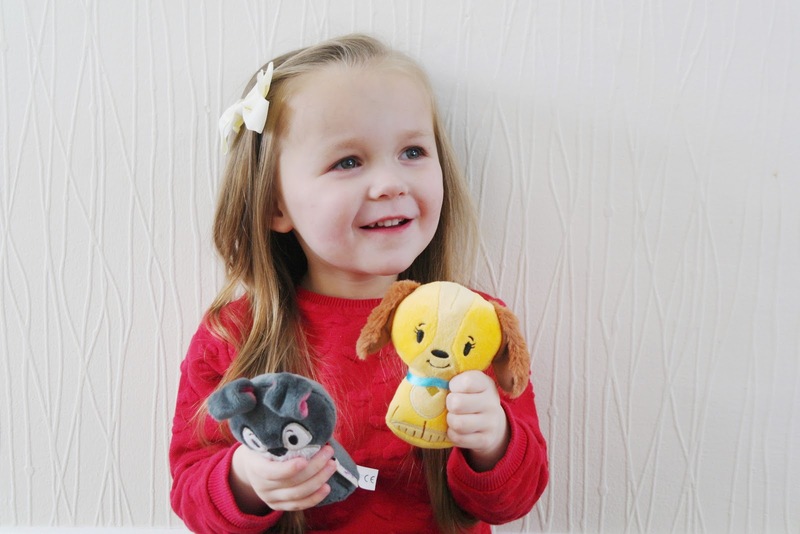 Not only do they do an amazing range for Mother's Day they are also selling these little cuties; Itty Bittys ®. These super cute Itty Bittys were created by Adan Chung as he sketched a quick interpretation of what popular characters would look like if they were just a bit “itty bittier.” Soon enough, Adan’s simple-but-fresh portrayal of popular licensed characters inspired an entire collection that continues to grow. Hallmark has quite the collection of Itty Bittys and are always adding new additions to the itty bitty family. 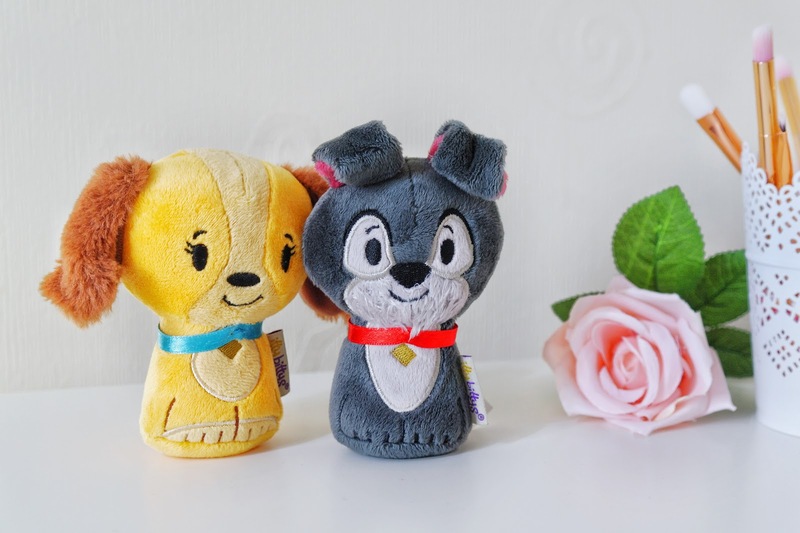 There are some of the most iconic characters and with their small stature and super-cute style, they make the perfect gift. Even if it’s a treat for yourself itty bittys are perfect for every occasion. itty bittys may be small but there’s certainly a whole lot to love! 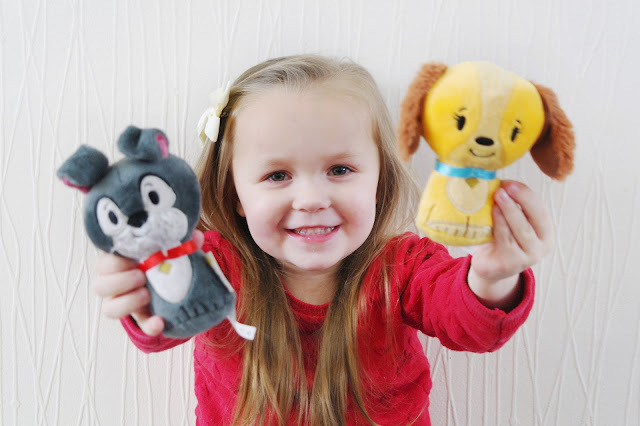 We were kindly sent over The Lady and The Tramp Itty Bittys and my daughter could hardly hide her excitement. We have become somewhat OBSESSED with The Lady and The Tramp, so much so she has asked her Dad if she can have a new puppy and call her Lady. My daughter fell instantly in love with them both insistent on taking them to bed with her which was fine but her bedtime toy collection is becoming a little crazy. The magical world of Disney is now adding it’s magic to the itty bitty collection. From Disney Princesses such as Belle, Rapunzel & Ariel. To Frozen characters including itty bitty sisters Anna & Elsa. We even have an itty bitty Captain Jack Sparrow for Pirates of the Caribbean fans. 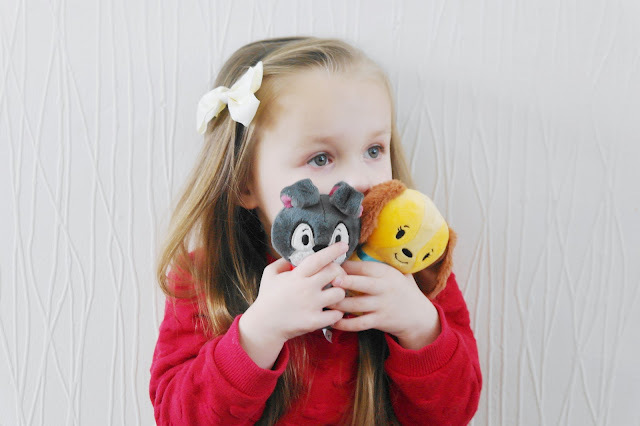 This adorable, growing collection is a must have for Disney fans of all ages. I know that we will have to start collecting the Princesses starting with Rapunzel of course. From a Hallmark Galaxy not so far away comes a group of itty bittys perfect for any Star Wars fan. Old favourites like Yoda™, Chewbacca™, C-3PO™, R2-D2™, Darth Vader™, Stormtrooper™, Admiral Ackbar, Boba Fett and adorable Han Solo & Princess Leia double pack, are joined by some new favourites Rey™, BB-8™ and Kylo Ren™, a must for any Star Wars collection. Your favourite Marvel Super Heroes Iron Man™, The Hulk™, Spider-Man™, Thor, Captain America™ and Ant-Man have assembled and joined the itty bitty collection. Now Guardians of the Galaxy: Rocket Raccoon and Groot have also joined the team. They may be small, but they’re still mighty. Our favourites are Spider-man and Captain America. Create your very own crime-fighting team at home with some of the world’s famous superheroes from the DC Comics and Superhero Girls collection. Wonder Woman, Superman™, Batman™, The Flash and Supergirl are ready to battle it out with itty bitty Catwoman and The Joker. Flintstones, meet the Flintstones, the modern Stone Age family! Fred, Wilma, Pebbles and Dino are now part of the itty bitty family. These adorable and iconic characters are now available to collect and add to your itty bitty family. Scooby Dooby Doo, Where are you? Scooby-Doo™ and Shaggy are ready and waiting to start solving mysteries and having adventures as part of your itty bitty gang. Iconic and loveable characters from the cinematic treasure The Wizard of Oz, Dorothy™, Scarecrow™, Tin Man™, Cowardly Lion™, Wicked Witch of the West™ & Glinda the Good Witch™ have followed the Yellow Brick Road™ and joined the itty bitty family. Charlie Brown and his best pal, the lovable beagle Snoopy from the beloved “Peanuts®” gang are now part of the itty bitty gang too and ready to join your collection. Seroulsy Snoopy is just the cutest Itty Bitty! Why not add a special surprise to their big day with the itty bitty Bride and Groom created specifically for wedded bliss. The perfect mini gift to celebrate an engagement, mark the big day itself or as an adorable mini anniversary keepsake. Your favourite itty bitty characters, that itty bit bigger! At more than twice the size, these itty biggys are more huggable than ever, pick up your favourite today. So as you can see you really are spoiled for choice when it comes to choose your Itty Bittys. I have to say that these are pretty cute and my daughter absolutely loves them. It's going to become a new obsession I am sure. So when it comes to getting your cards for pretty much any occasion don't forget to go and check out Hallmark, as I know that they got you covered. *DISCLAIMER* Mimi Rose and Me is a personal blog written and edited by myself only, unless otherwise note my reviews are completely based on my own opinion of the product reviewed. These products were supplied to me as a gift to review from Hallmark. 6 comments on "A Hallmark Mother's Day and Itty Bittys"
My daughter is completely obsessed. Ah, these are really cute. Hallmark cards are lovely. You can’t really go wrong with Hallmark! Oh yes my daughter wants to collect them all.